Only two disciples are known to me. Myself & Shri CK Ramachandran. Nath Yogi CK Ramachandran: Met our Guru in 2000. 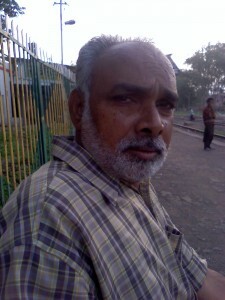 He lives in Palghat or Palakkad after his retirement from government service. He worked as a senior scientific officer (scientist) in Department of Atomic Energy. He also served our Guru till our Guru renounced His physical body. He has been engaged in spreading our Guru’s teachings in Kerala. The seekers from Kerala and others whose mother tongue is Malayalam may meet him in Palakkad or Palghat, India. His contact numbers are 08547991952 & 04912803121. Azad Muni Vihar, Opposite FCI, Station Road, Palakkad, Kerala.